Banish toy clutter and make some extra cash in time for Christmas. All the kids I know are toy hoarders. My friend’s little girl proudly told me the other day she has 98 teddies, a mean feat for a five-year old, while my two nephews’ LEGO collection is quite simply out of control. Some of the adults I know aren’t any better. My brother-in-law has so many video games he has built a new cabinet to store them. With Christmas coming up, the situation can only get worse. If toys and games are overtaking your home, it may be time to have a clear-out. Here are some ways to get rid and raise some extra cash in time for Christmas. LEGO collections can quickly get out of hand. Zapper is a website which offers instant valuations on things like books, CDs, DVDs, games, mobiles and various other electronics, but it also has a cash for LEGO trade-in service. You just need to put your LEGO in a plastic bag, weigh it, select the nearest weight from the drop menu on the site (0.5kg to 10kg) and select a free delivery method. Zapper will then post you a cheque for your goods once it has checked the items. Zapper offers a set price based on the weight of your trade. 0.5kg of LEGO will get you £1.75, but if you have 10kg of the stuff you can get a decent £35. 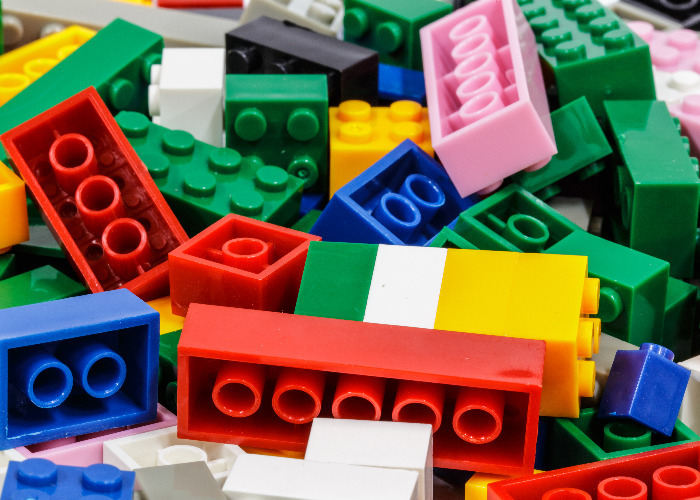 The trade must contain genuine LEGO only (no clone brands like Mega Blocks or Knex) and be in a good condition. Alternatively, if you have more valuable LEGO items like rare minifigures or sets you could try specialist LEGO marketplaces like bricklink where you might be able to get a better price. Games consoles and video games can be traded in for cash or vouchers in a number of places online or even on the high street. CeX for example offers instant cash valuations online or in-store for consoles like the GameCube, PlayStation 2, Xbox 360 and Wii as well as video games. Game is another good place to go. It also offers an instant valuation for old consoles and games online or in-store. But the retailer claims it will beat any hardware trade-in offer you get elsewhere by 5%, and on other trade-ins like games it will better by £1. It’s worth checking what MusicMagpie, Zapper and Ziffit can offer for comparison. A quick way to get cash for toys is to look out for a toy exchange event. Argos usually runs a Toy Exchange in conjunction with Barnado’s. The UK-wide initiative usually launches in October and allows people to exchange pre-loved toys for a £5 Argos voucher, which you can spend on new toys at Argos until Christmas Eve. Barnardo’s uses the pre-loved toy donations to sell in its stores in the run-up to Christmas and all profits go to fund the charity’s work with over 240,000 children, young people and their families. Other big high street names like The Entertainer and the Early Learning Centre also periodically hold toy exchange events throughout the year. So keep an eye out! With the colder weather settling in there won’t be many car boot sales you can use to raise cash from your pre-loved toys. But keep an eye out for local jumble sales in community spaces like churches or schools. Better yet why not organise one yourself? Alternatively, an app called Shpock claims it is bringing the boot sale online. Read Shpock: boot sale app to rival eBay and Gumtree. If you think your toy or game collection is rare or popular it might be worth selling on eBay. eBay is a great place to reach a wide audience who might be after collectibles, a sold out item or a bargain on a gift in time for Christmas or a birthday. Read How to sell successfully on eBay for tips and tricks on how to boost your return. Alternatively, there are other cheaper online marketplaces you can try like Preloved, Gumtree or even Amazon Marketplace. Take a look at Sell for less; the alternatives to eBay for more. If you aren’t in desperate need of the extra cash don’t discount giving old toys and games away for free. Your local charity shop will be keen to get donations in the run up to Christmas, or you can try websites like Freegle or Freecycle.